As I may have mentioned before I love artists. I am so taken by their ability to create something with a brush and some paint. A blank canvas turns into an incredible masterpiece with a vision and God given talent. I never tire watching it all come together. It is almost magical. I could visit museums and galleries and chat with artists every single day and never tire of the inspiration it provides me. Jessica's art takes this inspiration to the next level for me. Yes her art is stunning, but it is also so much more. She has taken her life and history and poured it into what she creates. I initially fell in love with her palms and then I fell head over heels for this new collection she created for WOM. The story behind the collection will touch your heart and the pieces will speak to you as they have me. I had my eye on one specific piece and my delay sadly worked out in my deficit. Lesson learned. My time with Jessica at the event was fabulous. We were able to truly chat more and exchange contact information. She is darling and charming and so warm and fabulous. We connected immediately. She was rushing home to prepare her home for the storm but still was one hundred percent in the moment with me. I knew the moment I left the shop I had to share her with you. I was chomping at the bit to get this interview conducted so I could share her amazing pieces and her story. I am thrilled today to tell you all about Jessica O'Neill and her stunning talent. First of all, tell me about Jessica ONeill. Where did you grow up and how did your childhood influence your life and your business today? I have always loved art and am blessed to have been born into a family that supports and encourages the arts. At the age of five I received my first artist's table for my birthday. Rather than getting dressed for church I sat and colored naked in my underwear...if I wasn't dressed to go they couldn't make me stop coloring! My parents were very involved in my sister's and my education. Because my hometown is rather small we traveled abroad a great deal and Mom and Dad always impressed upon us there was much to learn and gain from visiting foreign places and experiencing new cultures. My parents believed firsthand knowledge of the world to be invaluable and wherever we went an art museum was almost always squeezed into the agenda. I did not notice as a child but now I can see how my parents always supported our interests. It did not matter what we wanted to do or be as long as we put forth our best effort Mom and Dad would support our dreams. I can remember my mother reiterating nearly daily the importance of being kind, well mannered, and hard work. It was never did you try hard, more so could you have tried harder? Was there anything else you could have done? I should probably take this moment to thank them for those then annoying and now meaningful conversations. Thank you Mom and Dad for teaching me to appreciate education, to see beauty in what is different, and instilling a work ethic that my husband may say borders on O.C.D. 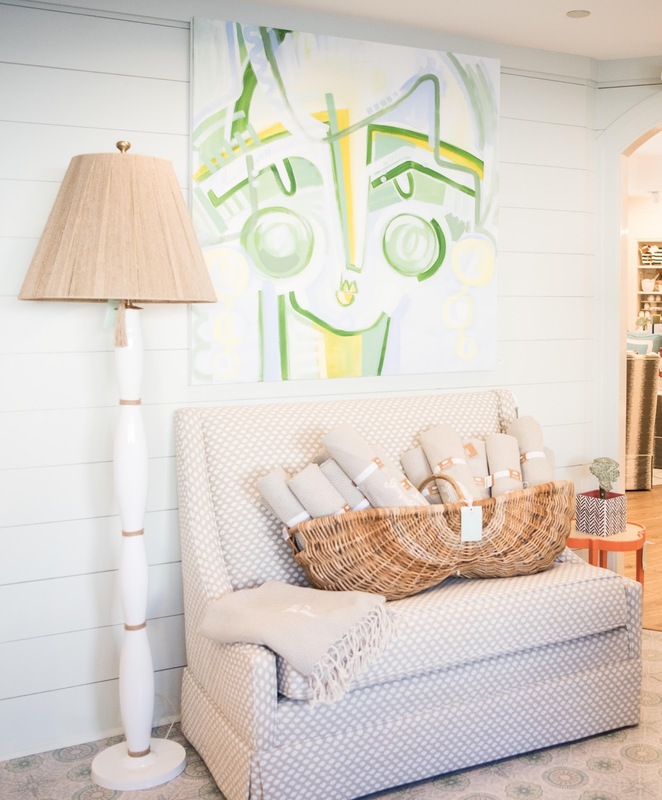 When I began my own business it was equally important to develop a brand that could encompass my range of artistic interests as well as represent my Southern roots. Whether it is Lowcountry landscape, foliage, or abstract works using bold brush strokes and vivid color, my Southern upbringing almost always peaks through. I love how in the South an emphasis is placed on the importance of tradition. Art appreciation is inherently traditional. 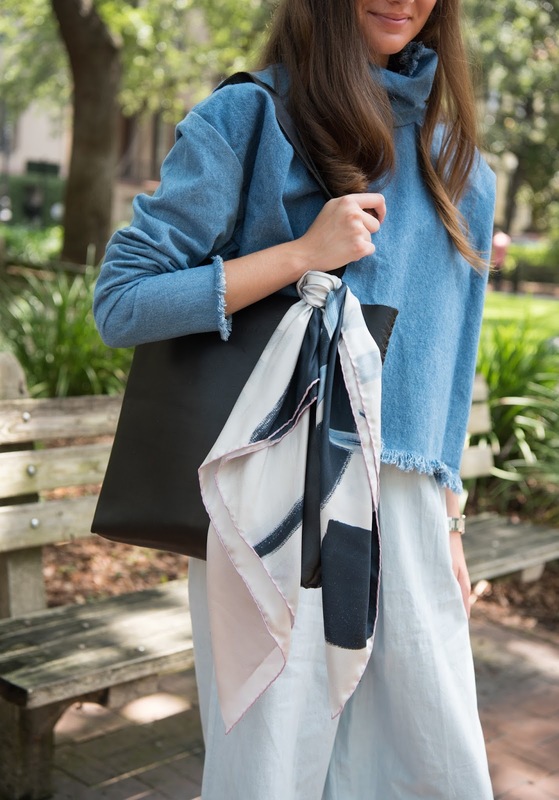 Fine silk scarves are classic fashion staples. 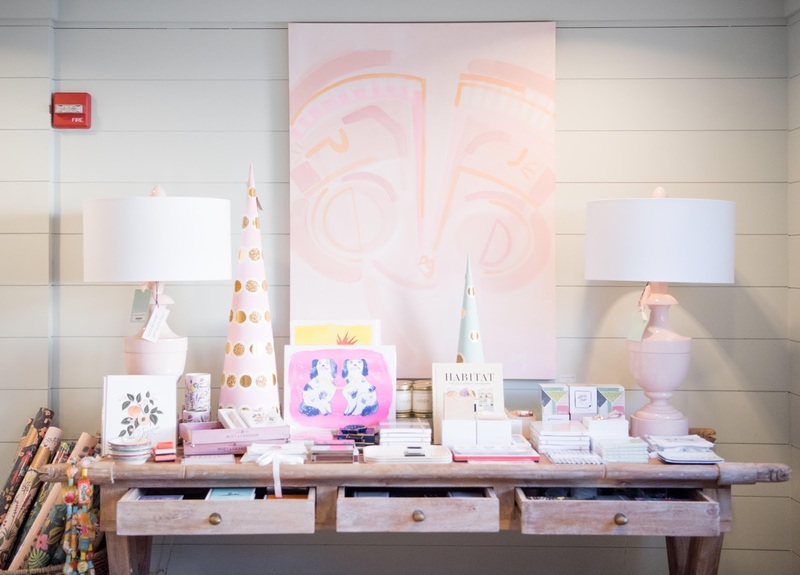 Table linens, hostess gifts, and letterpress stationary are all etiquettes from generations before. 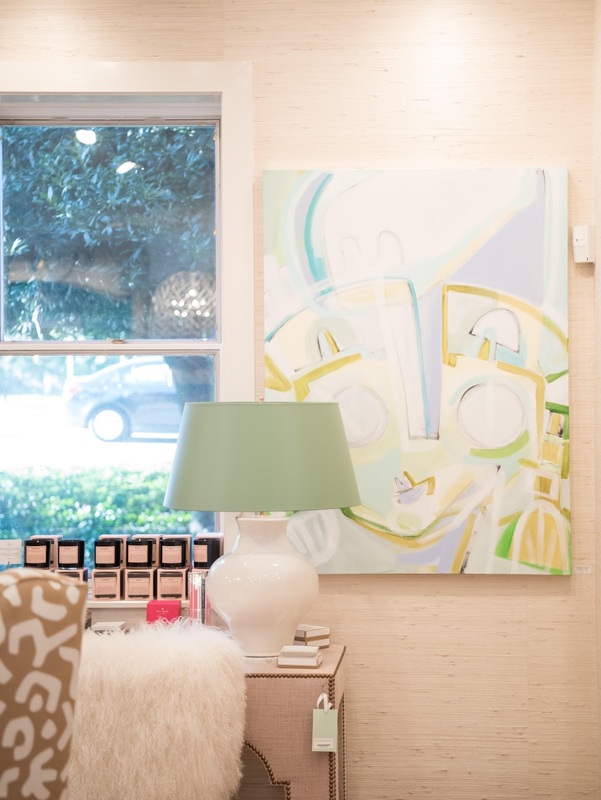 Art By O'Neill is a contemporary take on time-honored luxuries. Fifth birthday naked coloring instead of getting dressed for church. On Vogue.com's guide to Savannah. As a child I bounced from one interest to another with art being the constant. I never considered a career in the arts because I did not want to be a teacher. My mother and sister were teachers and my fiercely independent spirit could not have the same career as my mother AND my sister. And at that time, in my naive mind, all artists ended up being teachers some way, somehow. I have always loved art, fashion, and politics. The first two didn't seem realistic so I set my heart on becoming a legislative lobbyist and continued taking art classes throughout high school as electives. Luckily my parents knew me better than I knew myself and strongly urged me to attend Savannah College of Art and Design. Most artsy teenagers beg their parents to let them go to art school; my experience was the exact opposite. You want me to go to art school over law school? Are you sure? What if I don't like it? I'm pretty positive they don't have football. These conversations were had over and over again as I was certain my parents had lost their minds. They had not and their belief in a talent I did not yet appreciate may be one of the greatest gifts they could have ever given. After graduating from SCAD, The University for Creative Careers I briefly went to New York, decided I'm not a New Yorker, and then back to SCAD where I worked in Marketing and Public Relations in the office of SCAD founder and President Paula Wallace. As a student I had studied fashion and advertising, but the education required a strong knowledge of the foundations; color theory, 2-D and 3-D design, writing, etc. I learned to apply a business mind to my passion for the arts and so enjoyed utilizing these skills in my new career. It was a magical time in my life. I met my now husband, a Savannah native, and it became clear Savannah would be our home. After my years in marketing for higher education and Jack completing his periodontal residency we decided the time had come to start a family. While pregnancy came easily I had a terrible time with my auto-immune disease flaring and causing threatening complications. I was put on bed rest twice and after our daughter was born it became evident I couldn't return to work. I was devastated. 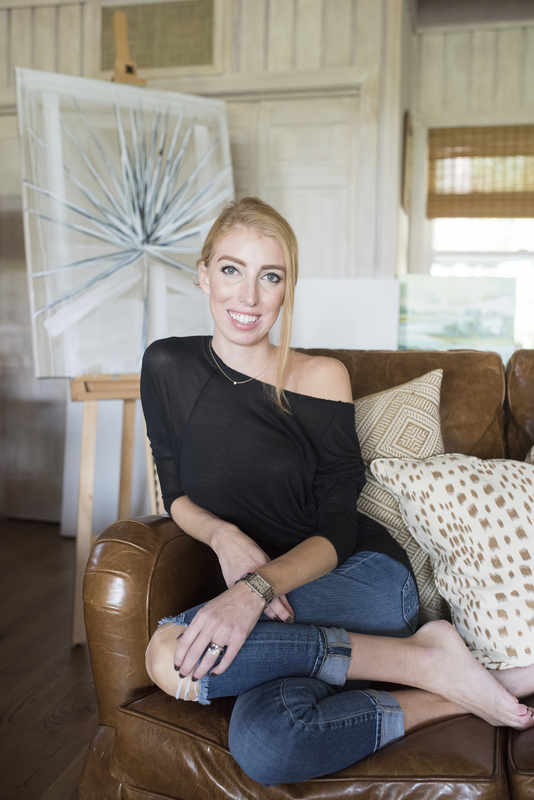 I loved my roles at SCAD and then Director of Marketing for Georgia Southern's Auxiliary Services and never thought of myself as a stay-at-home mom. Several hospitalizations and six months into motherhood I was lost. I did not look like myself, I certainly did not feel like myself, and while I adore my daughter, I felt like I had a greater purpose. I needed to be me in order to be the best mom I could be. With a desire for more, what that was I was not sure, and a supportive husband I started brainstorming. Then one day a friend who is an interior designer called to chat. Somehow the conversation led to a project she was working on and needing to find a pineapple painting for a nursery. "I can do that," I said. Could I? I had no idea. The pineapple painting was done and we both were surprisingly pleased. She then asked if I could paint palm fronds for another client. Of course, I love spiky foliage. What she and other friends did not realize was a stack of paintings began piling up in our kitchen pantry and for the first time in what had been a long time I felt more like myself than ever. I was too sick to take my baby on walks but while GiGi napped I could sit at our table, look out over the marsh and paint. Several months later Art By O'Neill became a reality and Number Four Eleven, a luxury lifestyle boutique, began selling my work. With friends helping bolster my confidence I slowly started telling more and more people I paint. A year later with sales and a commission waitlist growing I realized I had the best of everything I had ever wanted, an incredible husband and precious child, my health on the mend, and a career in the arts. And now having had my art on Vogue.com and my silk scarves in boutiques across five states and counting it looks like I've made my way back to fashion too! Commission for Monica Lavin of Lavin Label blog. I love the collection you created for Waiting on Martha. Tell me more about the pieces! Mandy Kellogg Rye, Waiting On Martha blog founder and owner of Waiting On Martha Home, and I met last year through The Southern Coterie. After an exciting brainstorming conversation she asked for a collection of my abstract figurative portraits for her store's artist in residency rotation. I was thrilled and, one might say, slightly inspiration intimidated at the thought of twenty four paintings in two months time. Who inspires me? Is there a story to tell? My mother and her friends, the real women of my hometown of Natchitoches, Louisiana flooded my head. My mother's friends and their mothers and their friends and so on were the personalities who inspired Robert Harling's play, a true story about his sister Susan, their family, and our town, which was then turned into the cult-classic Steel Magnolias film. When I moved to Natchitoches as a young girl everything and everybody was a novelty. By the time I left for college the people and way of life was my norm. For twelve years strong Southern women paired with the dynamics of a small town informed the kind of woman and mother I hope to be. Their sayings and snippets of wisdom were a part of our everyday vernacular. Wasn't it normal to chase crows from trees with pellet guns? Everyone doesn't dye 100+ eggs for Easter every year? When I told Mandy my idea and began sharing childhood stories of quirky neighbors and Christmas Festivals past she agreed it could be the perfect fit for Waiting On Martha Home. Each painting is inspired by a character or quote from Steel Magnolias. Color palettes were driven by Natchitoches themes. For example, the local and actual university's colors Clairee "covers" football for are purple and orange so you'll find the school's colors in the painting titled Would You Call This Color Grape Or Aubergine? There are small and subtle nods to the city in each piece, almost like a hidden love letter to my hometown. You don't have to be familiar with the film to enjoy the collection; however, if you have seen Steel Magnolias it makes the paintings that much more enjoyable. "If you can't say anything nice about anybody, come sit by me. "- Clairee; 36"x36"
I love this quote and painted two faces overlapping, as if two dear friends were leaning in trading secrets or downright good gossip! As you know I own one of your darling scarves! Tell me all about them! I was approached last spring by Rinnovo Studio about a painting I had posted on Instagram for a client in New York. The company specializes in curating original artwork that is then digitally printed onto Italian silk. Being fashion obsessed I was immediately intrigued! Rinnovo Studio and I discussed my painting, their product, how my artwork would translate, and a series of samples were made. To say I was immensely pleased with the samples would be an understatement. Throughout the process I learned Rinnovo Studio uses the same Italian silk mill where Chanel and Gucci scarves are digitally printed and each scarf's edges are hand-finished by Italian silk artisans. Every scarf is a bit of luxury and art. Collecting silk scarves was something my grandmother and I both loved to do, and although I never dreamt my paintings would be wearable art I had that wonderful feeling when you know the project is just right. Three sizes were made, the Itty Biddy, which is men's pocket square size or perfect around a lady's wrist, neck, or handbag, the Classic, and the Show. The scarves will be available at select boutiques in Houston, Los Angeles, Santa Fe, Atlanta, and New York City. For the online shopper the scarves can be purchased on my website artbyoneill.co. Wife+Mother...can we make "w'other" a word? Adventurous. Creative. Dancing with my husband. I remember my grandparents dancing in their kitchen until their last days together. Jack and I put, "to dance in our kitchen," in our wedding vows and now, at the end of a long day, dance parties are a regular occurrence in our household. If I spotted you on a random Saturday what would you be wearing, doing? A white top of some kind. I own a plethora of white button downs, t-shirts, sweaters, etc. so much so I joke white and winter white are color spectrums of their own. A comfortable jean and footwear I can chase our two year old daughter in. Right now I'm living in a pair of silver metallic Stan Smiths and just purchased a classic black Gucci loafer that will soon be on heavy rotation. Saturday is for coffee, family time, fall football, and if I'm lucky a couple hours in my studio. Every other Saturday evening my husband and I try to get a babysitter and have one-on-one time or catch-up. with friends. We think it's important to be the best parents to our daughter we need to always put our relationship first. To never stop dating one another. 1. Cell phone, iPad, computer charger...somehow one of the three is always dead. 2. Sketch book. I keep all of mine, a habit my mother started, and I even have some from second grade tucked away. 3. Wet Wipes. They truly are magical stain removers and keep my two year old from looking like a complete mess. 4. My silk Pensive, Fresh Faces scarf. 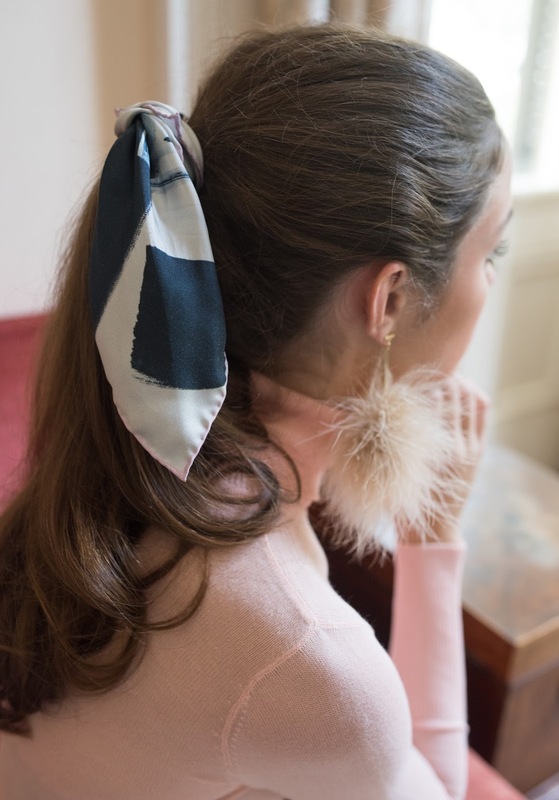 A touch of Italian luxury can transform an outfit, handbag, or hide a head of unwashed hair. Or the ever illustrious Ludacris who sang, "Took your momma 9 months to make you. Might as well shake what ya momma gave you." Classic! You must check out Jessica on her website and follow her on Instagram. It is the best way to connect with her life as a wife, mother and artist, three things she loves most. To shop her collection visit this page on Waiting on Martha. Don't make the mistake I did and hesitate before purchasing. Pull the plug and then decide where to hang it. Thank you Jessica for sharing your story with me. I know our paths will cross many times and I am excited to work together in the future. Oh ... and any time I am in Savannah I will be calling you for a cocktail!